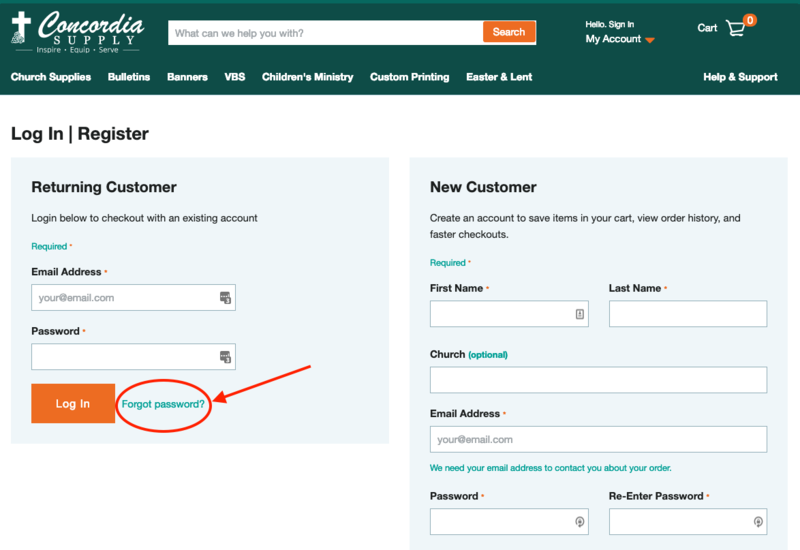 You can recover your account access by resetting you password quickly and securely through our website. This article helps take you through the process step-by-step. Visit the Log In page on our website by clicking on &apos;My Account&apos; in the upper right hand corner. From here, click the Forgot Password? link at the bottom of the Returning Customer section. 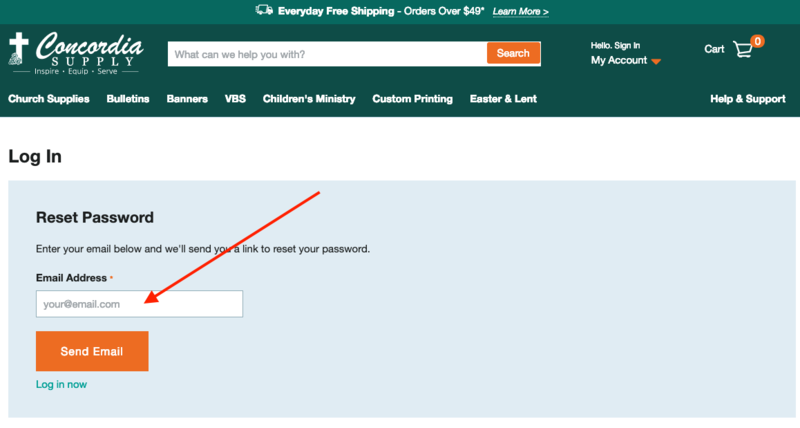 Enter the existing email address associated with your account. If the email address is valid, you will receive an email titled Password Change Request For Concordia Supply Account with a link to reset your password. Click on the link and follow the instructions to enter a new, secure password. To update your account email address instead, click here.